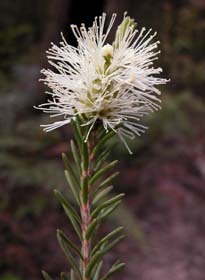 Melaleuca ericifolia is a very common species near the north, north east and west coasts. It can be a tall shrub or small tree and has obviously papery bark. 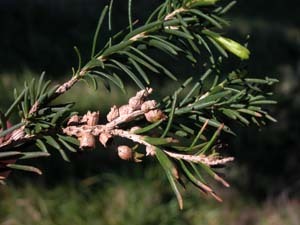 It is very similar to M. pustulata. 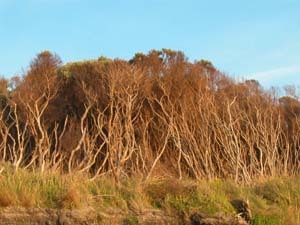 The most obvious difference is the habitat - Melaleuca ericifolia grows on the shores of estuaries and river banks, and occasionally in boggy areas in wet places, whereas M. pustulata grows in dry heathland near the east coast (rarely along stream banks).